The most intense family moto-tainment experience on the planet, Monster Jam®, starring the biggest performers on four wheels: Monster Jam trucks – RETURNS! These Monster Jam superstars plan to deliver on what fans want to see most - more freestyle, more racing, and more action! All the access and fun begins with the world famous Monster Jam Party in the Pits where fans can get up close to the superstars of the show, take pictures with the Monster Jam Trucks, get autographs with the drivers & more! Then the 3.5 meter tall, 5 ton machines will bring you to your feet, racing and ripping up a custom-designed track full of obstacles to soar over or smash through! 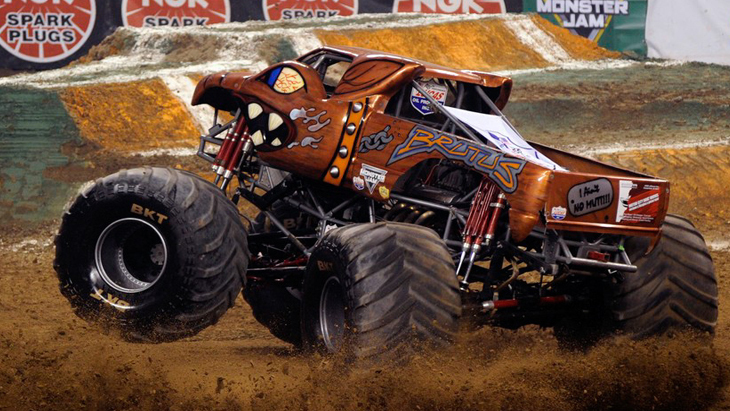 Monster Jam provides quality entertainment tailored perfectly for your family's budget, and these colorful, larger-than-life beasts are sure to capture the hearts of both young and old. Don't miss out on the most extreme “moto-tainment” experience on the planet!